You get a new job at a totally new place. You don’t know the regional language, you know nothing. You go to the bus stop, and the buses pass by. You stand there forever because you don’t know how to read the place board. Wouldn’t it be great if you have an application in your mobile phone that can process an image and translate the text contained in it, such that you just need to click a picture of the place board of the bus? 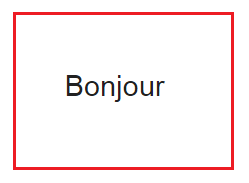 Well, that’s exactly what Google Translate is here for. There are a lot of other applications as well for this wonderful invention. 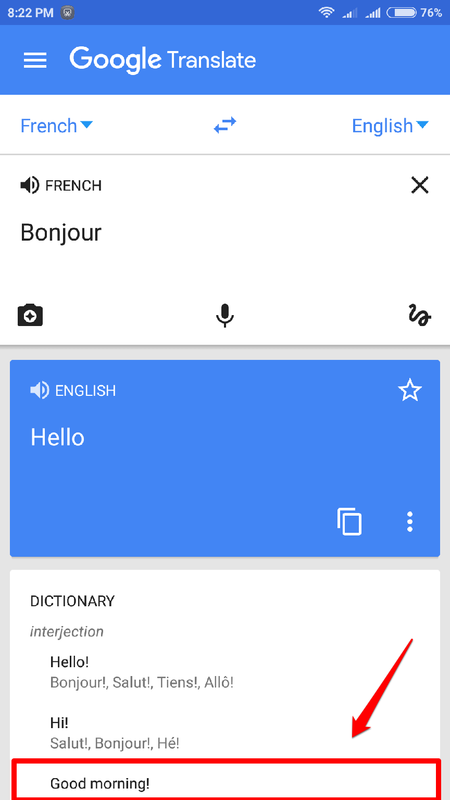 You can get Google Translate from here. Follow the steps given below to learn how to translate the text contained in an image using Google Translate. 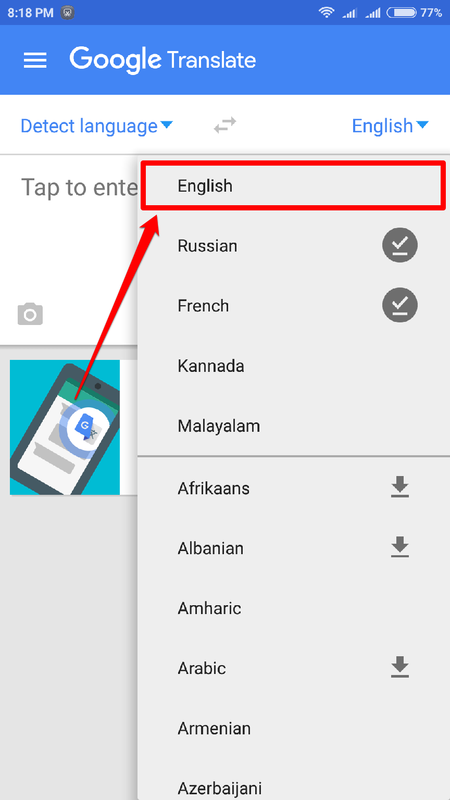 When the app launches, you have to select the language from which you want to translate. 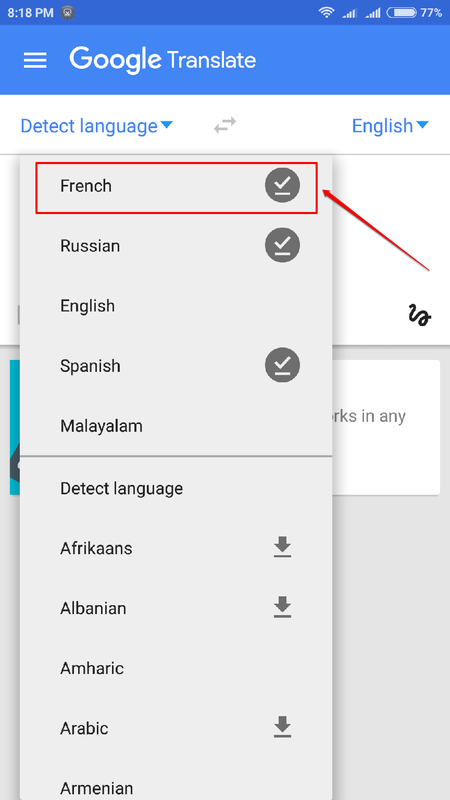 For that click on the Detect language drop down and choose your language. I have chosen French as the language to translate from. As next, select the language to which you want to translate the text in the image to, as shown in the screenshot. I have chosen English. Now click on the Camera icon to capture the image which has the text to be translated. Get the image, which has the text, to be captured. 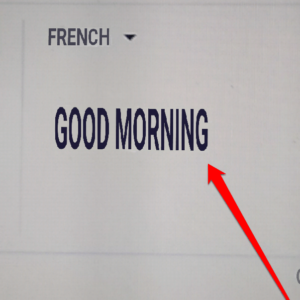 I have googled for Good morning in French and I am going to use my laptop screen as my image. Align the camera with the text in the image. Now the app will show the translated result! 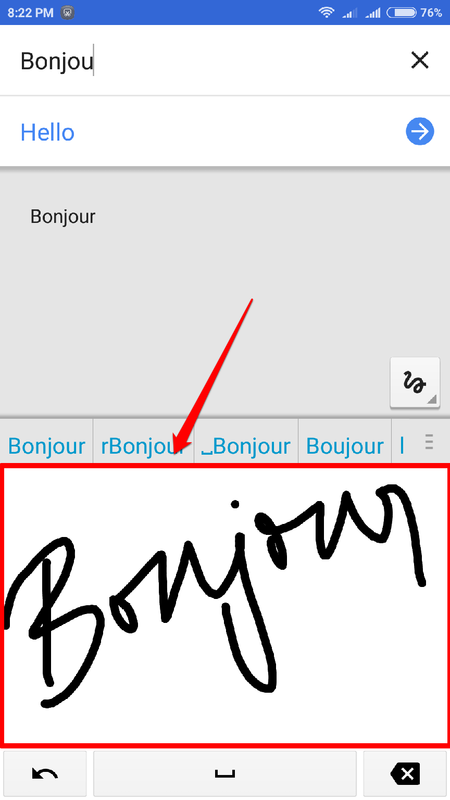 You can even click on the Write icon to write the text and get the translated result. Simply touch-type the word and wait for the app to translate the text for you. Viola! The translation is perfect, isn’t it? 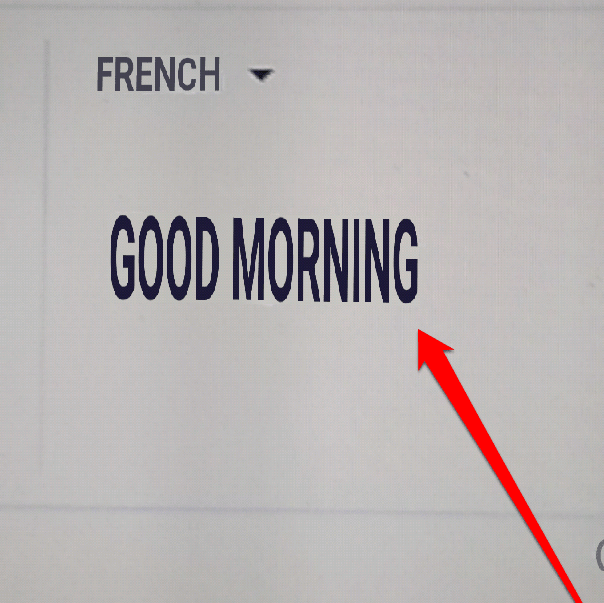 Get Google Translate today itself to translate anything and everything. Hope you found the article useful. If you have any doubts, feel free to leave comments, we would be happy to help.